Hope for the Small Border Traffic (SBT) zone between Poland and Russia’s Kaliningrad Region, which operated until July 2016, to be resumed by the Polish side is gradually disappearing. The Polish Ministry of Interior and Administration, in response to a request from Civic Platform Party deputy Jacek Protas, recently cited security considerations and the "growing militarisation of the Kaliningrad region" as the main obstacles. These arguments seem to be inconclusive to Urszula Pasławska, a deputy of the Polish Peasants' Party from the Warmian-Masurian Voivodeship (Warmia-Masuria Province), who for several years has been seeking the reimplementation of the SBT zone. In her opinion, Polish border areas have suffered substantial economic loses due to the abolition of the visa-free regime with the Kaliningrad Region, and it is extremely short-sighted to disregard this on the part of the current government represented by politicians of the Law and Justice party. "Such a result could have been expected, if only because at the request of entrepreneurs from the Warminsko-Mazursky Voivodeship, I sent a similar request three times to renew the operation of the small border traffic with the Kaliningrad Region. And each time received a negative response. The government should be asked about the reasons for such a decision," Urszula Pasławska said in an interview with Sputnik. "However, I can assure you that the Polish Peasants' Party supports the resumption of the SBT with the Kaliningrad Region, which we have been seeking to return to since July 2016. There is no ideology in this. 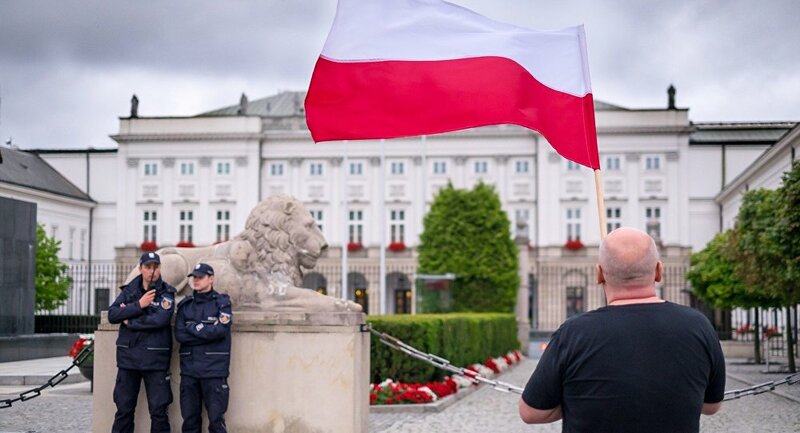 The overwhelming majority of the inhabitants of the Polish border areas are in favour of restoring the visa-free regime and we always listen to people," she added. According to Urszula Pasławska, Poles want to engage in lucrative contracts and trade with the Russians, as they did three years ago. Many do not understand why the government restricted them in this regard. "The Polish Peasants' Party is guided by common sense and proceeds from the fact that economic issues should be considered separately from political ones. If the Poles and Russians want to have trade relations, you need to promote that. Poland should not ignore Russia as a huge market. For this reason, the Polish Peasants' Party many times demanded that the current government take action to lift the Russian agricultural embargo. We explained that Polish farmers have already lost at least 3 billion euros due to this reason, and losses are increasing every year. However, the politicians from the Law and Justice Party did not do anything to resolve this issue," the deputy explained. The FIFA World Cup, held in the summer of 2018, was a good reason to renew small border traffic and start "civilised" trade relations with Russia. But Mundial did not change anything, and the Polish Ministry of Interior and Administration once again refused Urszula Pasławska's request. "I don't want to make harsh statements but it seems that with the current government — the Law and Justice Party politicians — the renewal of SBT will be impossible. If this question was not resolved positively during the first-ever Mundial, which was held so close to the Polish border, it is difficult to expect a change when it comes to smaller-scale events," Urszula Pasławska stated. Small border traffic is important for the economy of the Pomeranian and Warmian-Masurian Voivodeship. The resumption of the SBT would at least result in mutually beneficial cooperation between Poles and Russians. Owners of shops, transport firms, consumer services enterprises would benefit greatly from this. "We are talking about the income of Polish entrepreneurs from border areas, which is confirmed by statistics. Over the four years of SBT, Polish cities and districts with structural unemployment received an impetus for development. The unemployment rate in Węgorzewo County decreased by 4.5 per cent, in Bartoszyce County by 5 percent. After the suspension of SBT, the turnover of companies located at the border fell by 80 per cent. We consider this a sufficient argument for the resumption of SBT", Urszula Pasławska said. "We are neighbours. Good neighbourly relations are of joint interest to us. It is clear that the political course of Poland and Russia today is aimed at achieving different goals but does because of this that the citizens of our two countries cannot be friends or partners in business? During the period of the SBT, cooperation between Polish and Russian public associations, sports clubs, and schools was developing. Nobody lost on that but only gained". "As Vice-President of the Polish Peasants' Party, I assure you we are always guided by common sense and the well-being of the Poles. The overwhelming majority of the inhabitants of the border areas require the restoration of SBT, therefore, the Polish Peasants' Party will regularly raise this issue," she concluded.